When young children first begin to ask 'why?' they embark on a journey with no final destination. The need to make sense of the world as a whole is an ultimate curiosity that lies at the root of all human religions. It has, in many cultures, shaped and motivated a more down to earth scientific interest in the physical world, which could therefore be described as penultimate curiosity. These two manifestations of curiosity have a history of connection that goes back deep into the human past. 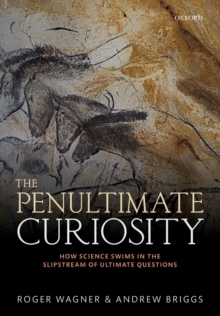 Tracing that history all the way from cave painting to quantum physics, this book (a collaboration between a painter and a physical scientist that uses illustrations throughout the narrative) sets out to explain the nature of the long entanglement between religion and science: the ultimate and the penultimate curiosity.